Saving U Green: Get Creative with Colortime Crafts! Get Creative with Colortime Crafts! 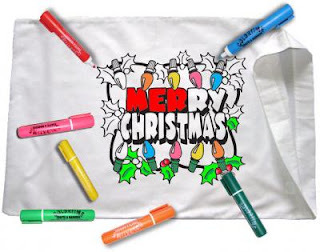 Since 1990, over 5 million children and adults have loved creating t-shirts, pillowcases, backpacks, tote bags, bandanas, and more for parties, slumber parties, and scout meetings with our permanent fabric markers. Colortime Crafts has provided customers the opportunity to entertain their guests with a creative activity that becomes a permanent keepsake. Also, Colortime Crafts is a licensed vendor of the Girl Scouts of America. Check out our wholesale program, great for your organizations. Colortime Crafts also offers free downloadable coloring pages & a Birthday Club with special incentives. I love that Colortime Crafts is a licensed vendor of the Girl Scouts!